When you’re starting a business you want to make sure you’ve “crossed all of your t’s and dotted all of your i’s” to make sure you get off to a smooth start. 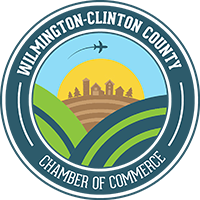 We’ve distilled down the key the steps you need to complete when starting a new business in Clinton County. We hope this provides a starting point, but we strongly recommend that you review this comprehensive guide to starting a business from the State of Ohio. 1. First, register with the Ohio Secretary of State. Registration information as well as forms are available online or at (877) SOS-FILE. 2. Contact the Internal Revenue Service (IRS) to obtain an Employer Identification Number (EIN). 3. Then, open a Bank Account. You will need your EIN to open a bank account. 4. Contact the Ohio Department of Taxation. Register with the Ohio Department of Taxation at www.tax.ohio.gov(opens in a new window). The Ohio Department of Taxation can assist businesses in determining state and local tax obligations. 5. Report Newly Hired and Re-Hired Employees to the Ohio New Hire Reporting Center. Report employee information at www.OH-NewHire.com(opens in a new window). More information can be obtained by contacting the Ohio New Hire Reporting Center at (888) 872-1490. 6. Contact the Ohio Bureau of Workers’ Compensation. BWC’s Grow Ohio Incentive program offers new employers premium discount options. Click here(opens in a new window) for more information. 7. Contact the Ohio Department of Job and Family Services. 8. Finally, obtain the proper licenses and permits. The Ohio Business Gateway, www.business.ohio.gov(opens in a new window), Licenses and Permits page provides a list of professional licenses and business permits necessary to do business in Ohio. Contact your county and local government to determine if any special requirements exist for your type of business. Apply for Tax Exemption. Visit www.irs.gov(opens in a new window) to apply to become a tax-exempt organization. Also, contact the Ohio Department of Taxation and your county and local governments to determine how to apply for applicable exemptions. Contact the Ohio Attorney General If the Intent is to Engage in Solicitation Activities. Register with the Ohio Attorney General’s office at www.ohioattorneygeneral.gov(opens in a new window) before engaging in any solicitation activities for a nonprofit organization. Apply for a Nonprofit Postal Permit. Apply for a nonprofit mailing permit from the United States Postal Service at www.usps.com(opens in a new window).